1230 South Pine Island Rd. 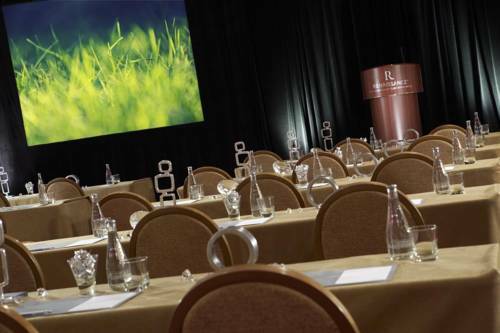 Embark on a four-star experience at Renaissance Fort Lauderdale-Plantation Hotel. We provide upscale settings for your visit to Sawgrass Mills , Nova Southeastern University and BB&T Center. We also position you less than 10 miles from Fort Lauderdale Hollywood International Airport. When you're ready to unwind, our stylish rooms and suites feature plush bedding, convenient room service and flat-screen TVs for your utmost relaxation. Stay active while on the road by having an invigorating workout at our fitness center, outdoor pool and jogging trail. Worked up an appetite? Dine at our on-site restaurant, Bin 595 Eclectic Grille & Wine Bar, serving delicious fusion dishes and handcrafted drinks. When it comes to your event needs, our sophisticated venues create the perfect backdrop for your wedding reception or business conference. Utilize our catering and planning services to elevate your special occasion. From start to finish, savor an extraordinary stay at Renaissance Fort Lauderdale-Plantation Hotel. Bin 595 Eclectic Grille & Wine Bar: Dine at Bin 595, serving food combining the vibrant flavors of Latin, Caribbean and Asian dishes. Check out our bar for a custom-concocted drink. Relax in modern d cor and experience delectable cuisine during your stay in Plantation, Florida. Starbucks : Energize your day with a cup of coffee or Frappuccino at our onsite Starbucks . Whether you're in a rush or have time to relax, Starbucks combines the best flavors for your favorite snacks and brews.